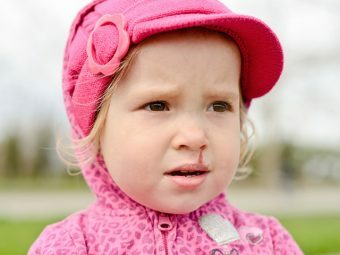 What is anemia in toddlers? What causes anemia in toddlers? What are the signs of anemia in toddlers? How is anemia in toddlers diagnosed? 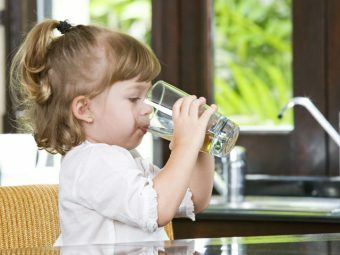 How to prevent anemia in toddlers? Anemia is one of the leading health issues in childhood. It interferes with the toddler’s healthy growth while leading to conditions such as extreme lethargy and weakness. Anemia can cause severe long-term repercussions, and therefore, it is essential for parents to understand the problem and act promptly. MomJunction guides you through every aspect of the anemia in toddlers, its treatment, and prevention methods. Anemia is a condition where the toddler’s body develops a low count of red blood cells (RBCs), which invariably brings down levels of hemoglobin — the oxygen-carrying compound in RBCs (1). Hemoglobin, a protein molecule, binds to oxygen in the lungs and carries it through blood to different parts of the body. Low hemoglobin levels lead to insufficient oxygen circulation. Without sufficient oxygen, cells are unable to perform vital cellular processes; this impacts several aspects of toddler’s life, and one of them is healthy growth and well-being. For this reason, anemia results in general ill-health and developmental delays among toddlers. So, let’s take a look at what leads to a lower blood count in toddlers. The destruction of RBCs is a normal process and is called hemolysis. However, in certain scenarios, the body is unable to balance the pace of RBCs destruction and production. It leads to a deficit, which is called hemolytic anemia, and this is caused by several reasons that are primarily genetic. i. Sickle cell disease: The genetic disorder causes the RBCs to develop an abnormal sickle or ‘C’ shape instead of the normal circular concave form. The abnormality causes the red blood cells to become sticky making them clump within blood vessels. Since less amount of blood reaches the different tissues of the body, the cells become deprived of oxygen. Sickle-shaped RBCs also have a short lifespan of 10 to 20 days compared to the 120 days-life of a normal RBC. The body is unable to produce healthy red blood cells leading to a low count of RBCs and eventually anemia (2). ii. Thalassemia: It is caused by missing genes. The bone marrow produces fewer than usual red blood cells. It means there are more RBCs destructed than produced. The low RBC count reduces hemoglobin levels, thus causing anemia. Anemia is one of the several symptoms of thalassemia (3). iii. Hereditary spherocytosis: This, too, is a genetic problem where the RBCs have an abnormal spherical shape with a fragile outer shell. These defective RBCs also have a short lifespan of 10 to 30 days. The rapid loss of RBCs with the production of further faulty RBCs eventually causes anemia (4). iv. G6PD deficiency: G6PD stands for glucose-6-phosphate dehydrogenase, which is an enzyme produced by RBCs to protect themselves from potentially harmful substances such as medications or pathogens that also flow through the blood. In toddlers with G6PD deficiency, the RBCs are unable to produce enough enzyme or the enzyme produced does not function correctly. Since the G6PD is unable to protect the red blood cells, they become fragile and get destroyed easily leading to anemia (5). When the bone marrow is unable to produce enough number of RBCs, it is called aplastic anemia. There are numerous reasons for poor production of RBCs by the bone marrow. i. Iron deficiency: Iron deficiency anemia (IDA) is the leading type of anemia among toddlers (6). It occurs when the toddler has inadequate dietary intake of iron; it can happen even in toddlers who are overweight or those who seem to be healthy (7). With a poor intake of iron, the bone marrow is unable to produce enough hemoglobin, thus impacting the production of red blood cells and leading to anemia. ii. Vitamin deficiency: A deficiency of vitamins B9 (folate), B12 (cobalamin), and C (ascorbic acid) can cause anemia. The deficiency can occur due to poor intake of vitamin-rich foods or consumption of medicines that interfere with the absorption of these vitamins (8). When it comes to vitamin B12, the toddler might get sufficient vitamin from the diet, but the body does not absorb any of it. It occurs due to defective genes and anemia emerging from such condition is called pernicious anemia. (9). iii. Anemia due to diseases: Some diseases temporarily halt or slow down the production of RBCs. It can also shrink the size of the red blood cells causing microcytic anemia (10). Some diseases that cause such anemia are leukemia (cancer), HIV/AIDS, and myelofibrosis (bone marrow disease) (11) (12). Pathogenic diseases that affect RBCs such as malaria may also cause short-term anemia in which the anemia is accompanied by malarial fever (13). i. Bleeding due to injury: A substantial loss of blood due to external or internal injury can deplete the body of healthy RBCs. Chronic incidents such as nosebleed may also cause anemia. The bone marrow could take time to replenish the loss, which may lead to short-term anemia in the toddler. ii. Acute anemia due to chronic disease: Certain chronic diseases can cause RBCs to drain out of the body often. An example is inflammatory bowel disease (IBD), which is a group of diseases that affect the digestive system. The condition causes inflammation and rupture of the internal intestinal lining, causing internal bleeding and loss of RBCs through stools (14). A toddler can get affected by anemia due to any of the above reasons. However, some toddlers are at a higher risk than others. Toddlers who consume excess cow milk: Cow’s milk is not an ideal source of iron for toddlers. In fact, the milk may make it harder for the body to absorb iron from other food sources. Thus, pediatric experts recommend against giving more than 24 ounces (710ml) of cow’s milk a day to a toddler to prevent the chances of iron-deficiency anemia (15). Premature birth: If the toddler was born prematurely, then there is an 85% higher chance that they get anemia. Prematurely born toddlers may also start consuming solid food later than normal due to the slow developing gastrointestinal tract, which further diminishes iron intake and increases the risk of anemia (16). Low birth weight: Toddlers with full-term birth, but with low birth weight could also be prone to anemia. Low birth weight could be a result of the mother suffering from anemia during pregnancy, especially during the third trimester (17). Despite the high or low risk of your toddler developing anemia, it is essential for you to look out for the signs of the condition. Pale skin and nails are one of the earliest signs of anemia among toddlers. The pale skin would be noticeable around the eyes and the nail beds. Lips would appear discolored with a whitish tinge. The toddler seems weak and fatigued, and may also feel dizzy. They get tired quickly even with minimal physical exertion. There will be a lack of interest in playing and other activities that the toddler usually likes. They would also seem more irritable and cranky. An anemic toddler will have trouble breathing and will repeatedly gasp for air. Some toddlers with anemia could develop swelling in their hands and feet. The toddler will show a general loss of interest in food with displayed resistance towards eating. Pica is a condition where a toddler eats non-food items such as clay, chalk, dust, ice, paper, etc. It is a critical indicator of nutrient deficiency and can be dangerous for the toddler as he may accidentally ingest a toxic substance. The heart could have trouble pumping blood and may develop faster, irregular heartbeats, with a repeated heart murmur. Low levels of hemoglobin cause the cells to receive less oxygen for growth. Therefore, a toddler with anemia will have poor height and weight gain compared to other healthy toddlers. If you notice these signs and suspect it could be anemia, take your toddler to a doctor right away for a formal diagnosis and treatment. Red blood cell count: A blood sample is collected to measure the total number of old and new red blood cells. The ratio of young to old RBCs will determine if the body has problems producing fresh RBCs. A hematocrit test is performed to determine the percentage of blood plasma made from the RBCs (19). The doctor may even get a stool test done to check if any RBCs are passing out of the body due to internal bleeding or diseases (20). Iron tests: Total iron content in the blood is measured along with the iron-binding capability of the red blood cells (21). It is used to diagnose iron deficiency anemia. Hemoglobin electrophoresis: There are various sub-types of hemoglobin and electrophoresis determines the kind present in the toddler’s blood. The test is helpful in diagnosing genetic disorders that can lead to anemia. For example, if the toddler has hemoglobin S in his RBCs, then he is diagnosed with sickle cell disease, which is one of the causes of anemia (22). Bone marrow biopsy: A pediatric surgeon performs the bone marrow biopsy at a hospital. A small needle is inserted into the thigh bone, and a sample of the internal soft tissue is extracted for laboratory analysis. The test is performed when the anemia is suspected to be a result of cancer or a bone marrow disease (23). 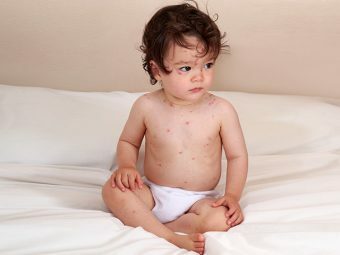 A toddler is given the course of treatment after a confirmed diagnosis of anemia. How Is Anemia In Toddlers Treated? Adequate iron supplements are incorporated into the toddler’s diet to ensure the hemoglobin levels reach a healthy level. Parents would also be suggested to meet a pediatric dietician to make a diet chart with foods that would improve iron reserves in the body. The toddler is given vitamins in the form of dietary vitamin and supplements to cure anemia. In cases such as thalassemia and sickle cell anemia, where the body is innately unable to produce sufficient number of RBCs, the toddler could require a blood transfusion to manage anemia. Such transfusions are done by the pediatrician through intravenous drip over several hours. The toddler will have to return weekly or as prescribed by the doctor for repeated transfusion of fresh blood (24). If the anemia is the result of bone marrow problem, then the doctor may suggest a bone marrow transplant. Transplants are particularly useful in case of leukemia where the bone marrow is unable to produce healthy red blood cells. The transplant is carried out either with the bone marrow cells of the toddler themselves (from healthy bones) or from that of a donor (25). Spleen is the organ that destroys red blood cells to make way for new ones. When the body is destroying more RBCs than it produces, then the spleen can be stopped from doing so with medications. If medicines do not work, then the doctor may consider surgical removal of the spleen as a last resort. Treatment of anemia is vital for the prevention of several long-term effects of the condition. 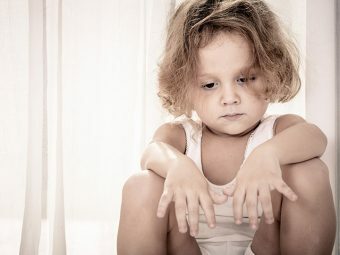 Poor cognitive skills and social problems: Studies state that toddlers with chronic anemia tend to have poor cognitive skills, such as lower intelligence quotient (IQ) scores even after they grow out of toddlerhood. They might develop behavioral and social problems later in life (26). Delay in physical development: The poor circulation of oxygen in the body can cause severe setback to cellular growth. It means a toddler with untreated anemia will stay shorter and underweight when compared to healthy toddlers. Poor immunity: In case of untreated iron deficiency anemia, the toddler may eventually develop a hampered immunity. This is because iron helps in maintaining the health of T-helper cells, a vital group of immune system cells. Insufficient iron can lead to less efficient T-helper cells, which impact the overall immunity of the toddler. Generally poor well-being: Constant fatigue, poor appetite, and drowsiness can lead to an overall poor health, affecting the general well-being of the toddler. Since anemia has the potential to cause adverse health consequences, you need to know about the ways to prevent the condition. Adequate iron intake: According to the American Academy of Pediatrics (AAP), the daily requirement of iron for a toddler (12-36 months) is 7mg (27). The academy says that toddlers can get the recommended dietary allowance (RDA) quite conveniently through consumption of iron-rich foods. Meats, including liver, contain maximum iron while sufficient iron can also be obtained from plant sources such as prunes, spinach, and nuts (28). Giving iron-fortified foods such as toddler cereals and crackers can help reach RDA without any problems. Sufficient vitamin intake: Vitamin B9, B12, and C deficiency are linked with the onset of anemia. The RDA of vitamin B9 for toddlers is 150mcg, vitamin B12 is 0.9mcg, and vitamin C is 15mcg (29) (30) (31). AAP states that toddlers receiving a balanced diet do not need any vitamin supplementation as their diet provides the required vitamins (32). Iron-fortified infant foods: You may give the baby iron-fortified milk powder, formula and weaning foods to prevent iron deficiency during the transition from breastmilk to solid food. Prefer formula to cow milk: After six months of age, babies often don’t get enough iron through breast milk or regular cow’s milk. Cow’s milk has lesser amounts of iron than fortified infant formula. Therefore, reduce the use of cow milk and replace it with iron-rich foods. Also, as milk is a rich source of calcium, it could interfere with iron absorption, if given in excessive amounts. Treatment or management of the underlying cause: If anemia is linked to cancer or a bone marrow disease, then these conditions need to be treated to prevent the onset of anemia. Certain diseases are progressive such as HIV, inflammatory bowel disease, thalassemia, and sickle cell disease. It means there is no treatment for these conditions. However, their efficient management can help successfully manage anemia in the toddler. Anemia has severe, lasting effects on a toddler’s health, but it is also preventable and manageable. Feeding your toddler a healthy balanced diet is perhaps the best home remedy for anemia and also an ideal way to it. Taking proper care and being vigilant of the signs of the condition will help you avoid anemia. 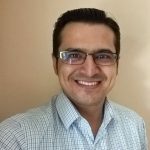 Have something to share on anemia? Tell us in the comments section below.